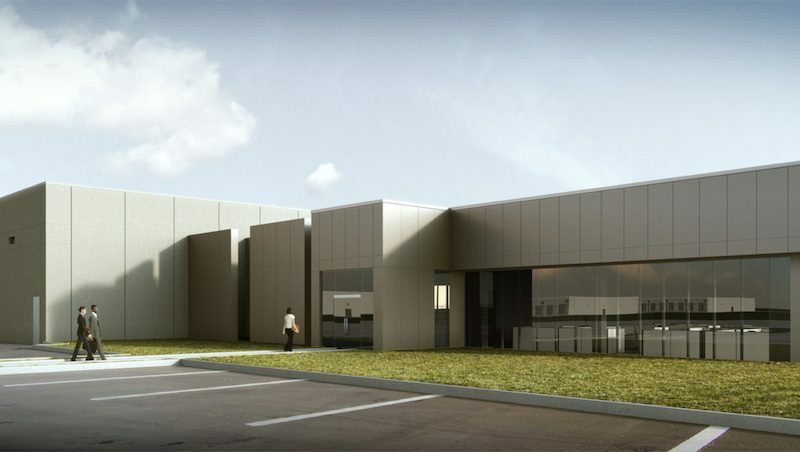 Apple today announced plans to build a 400,000-square-foot data center in Waukee, Iowa, which will provide backend infrastructure for the App Store, Siri, Apple Music, iMessage, and other Apple services in North America. Apple is investing $1.3 billion into the facility, which it says will create over 550 construction and operations jobs in the Des Moines area. "Apple is responsible for 2 million jobs in all 50 states and we're proud today's investment will add to the more than 10,000 jobs we already support across Iowa, providing even more economic opportunity for the community," said Tim Cook, Apple's CEO. Apple also said it will contribute up to $100 million to a newly created Public Improvement Fund dedicated to community development and infrastructure around Waukee. The fund, to be established and managed by the City of Waukee, will support the development of community projects like parks, libraries and recreational spaces, as well as infrastructure needs. "We're honored Apple is choosing Iowa for the site of its most technologically advanced data center to date," said Iowa Governor Kim Reynolds. "Apple's commitment to innovation and renewable energy leadership mirrors our own. This investment in our state is vital as we continue to develop as a technology hub and grow our workforce." As part of its pledge to power all of its global operations with 100 percent renewable energy, Apple said the data center will run entirely on renewable energy from day one. Apple noted it will be working with local partners to invest in renewable energy projects from wind and other sources to power the facility. Apple said construction on the data center is expected to start early next year, with plans to bring it online in 2020. 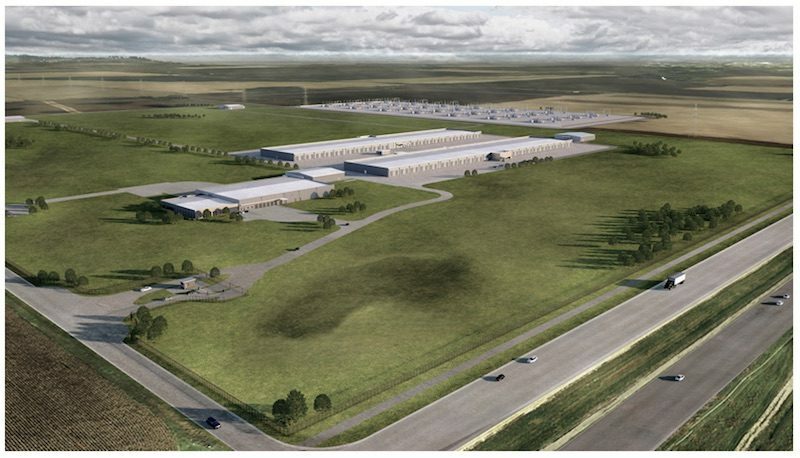 Iowa's Economic Development Authority reportedly approved a deal on Thursday that will give Apple $208 million in state and local tax breaks to construct two data centers near Des Moines. Apple will reportedly buy 2,000 acres of land for the project, allowing for future development in the area. Apple's plans to open the facility were first reported by The Des Moines Register on Wednesday. Apple CEO Tim Cook is in Des Moines today for a meeting related to the data center, Iowa state officials confirmed. Apple already operates several data centers around the world. In the United States, it has facilities located in Reno, Nevada; Prineville, Oregon; Maiden, North Carolina; Newark, California; and Mesa, Arizona. probably dedicated towards streaming carpool karaoke. [doublepost=1503600713][/doublepost]Pretty soon that's all we will export, cloud space. No! They will run this with environmentally friendly potato power. Good joke but Iowa isn't known for our potatos...try corn smart guy. Apple also said it will contribute up to $100 million to a newly created Public Improvement Fund dedicated to community development and infrastructure around Waukee. Oh, well that's where the $100 million is coming from. But Apple is paying their fair share of taxes. Their legal share? Yes. Their fair share? Most individual taxpayers who cannot afford shell companies in Reno would say no, but then neither do most other corporations. Good lord, they employ two million people in the US alone?! Why on earth do we not have a new Mac Pro?? When Apple says "two million", they include a million app developers who don't make a living wage, plus they include every UPS driver and all the people who work at factories making UPS trucks and airplanes, and the people who feed them and so on and so forth. Fortune did an analysis not long ago that pointed out that using the same criteria, almost the same number of "jobs" were destroyed by Apple, leaving a net gain around 100K. NOT Rocket Science, Apple picked Iowa simply because Tim Cook plans on running for President down the road. Or maybe the lack of natural disasters, abundance of clean and cheap energy, abundance of land, and sweet tax deals. It should be noted that it's not an odd choice (Iowa). Microsoft already operates 2 datacenters there (one US Government specific) and another public cloud, Google has a datacenter there and Facebook is in the process of building one. Maybe apple should just pay their fair share of taxes and quit asking for massive incentives (Cupertino) instead of saying they plan to GIVE millions away. Whenever I hear about these new data centers being built I try to wrap my head around the sheer volume of data that moves around the world and is stored in places like this... it truly is mind blowing.